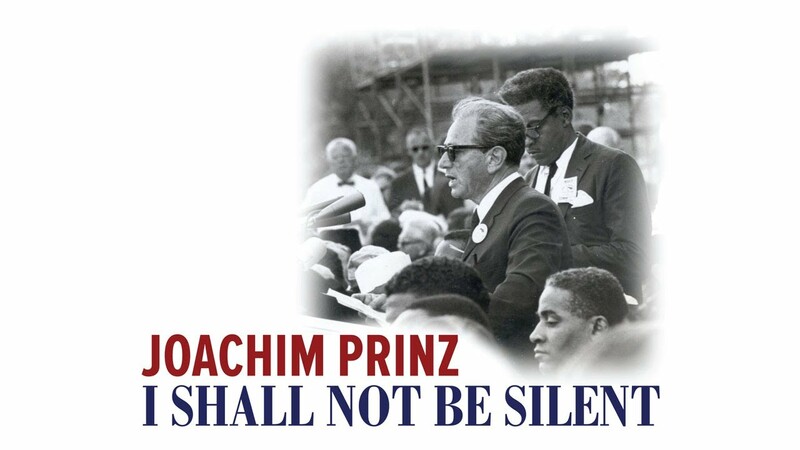 Saratoga Jewish Community Arts in recognition of Martin Luther King Day, with the generous support of The Jewish Federation of Northeastern NY and the Golub Foundation, presents the inspiring film Joachim Prinz: I Shall Not Be Silent. As a young rabbi in Berlin, Joachim Prinz was forced to confront the rise of Nazism and becoming an outspoken critic. He later came to be a Zionist leader and eventually in 1937, with the Nazi’s giving him an ultimatum, he was expelled from the country and immigrated to the United States. Within a short period, Prinz’s activism helped him rise to become one of the top leaders within the Jewish organizational structure. He held a top leadership positions in the World Jewish Congress, the American Jewish Congress and the World Conference of Jewish Organizations. Later, he was a director of the Conference of Jewish Material Claims against Germany. His early involvement in the Zionist movement made him a close ally and friend of the founding leaders of the State of Israel. Prinz devoted much of his life in the United States to the Civil Rights movement. He saw the plight of African American and other minority groups in the context of his own experience under Hitler. From his early days, when he settled in Newark, a city with a very large minority community, he spoke from his pulpit about the disgrace of discrimination. He joined the picket lines across America protesting racial prejudice from unequal employment to segregated schools, housing and all other areas of life. American Jews were far more successful than African Americans in overcoming barriers, their American experience and the historic anti-Semitism faced by their forebears created an empathy for the black predicament and, ultimately, for the Civil Rights Movement. Compared to other white ethnics, Jewish Americans took greater notice of racial injustice and committed themselves, and their resources, to expand democratic rights for blacks. At the same time, however, many Americans were ambivalent about this identification with African Americans. In the post-World War II decades, American Jews made great progress in the process of becoming “white.” For Jews and other ethnics who had been marginalized, becoming white was seductive. Prinz’s uncompromising stand for identification with African Americans at a time when racial lines were being heavily drawn and disrupted made him controversial. Because of his experience in Germany, Prinz identified with the black community, the outcasts. Witnessing racism by Jews in Atlanta in 1948, Prinz realized that Jews in America had a choice. They could ally with the white majority culture or they could ally with African Americans and other minorities. To Prinz, an identification with the white majority culture was wrong in moral terms and a grave strategic error. As a minority, Jews’ only chance to survive and flourish in America came from democracy. If all were not equal before the law and society, Jewish existence would always be in peril as it had been in Germany. In 1963, Martin Luther King, Jr was leading a movement that was trying to take a great step in the seemingly endless march of African Americans toward freedom. The March on Washington marked a culmination of long-standing aspirations among blacks, whites, Jews and Gentiles and others who saw civil rights as a foundational quest in a nation long burdened by intolerance against “the others,” particularly blacks. When more than 250,000 Americans gathered on the Mall on that hot day, they hastened the passage of the Civil Rights Act. Symbolically, their presence demonstrated an interracial alliance that would make the quest for civil rights the nation’s foremost domestic issue for most of the decade. In his moment at the March podium, Martin Luther King, Jr. represented generations who had given their lives in the journey from slavery, and he spoke for their descendants, who had now arrived in Washington to claim their freedom. Prinz and King speaking together at the March on Washington marked the intersection of two journeys from slavery to freedom, two narratives of “getting over.” However, in that moment, the African American journey and the Jewish journey could be found at different points along the continuum from slavery to freedom. Prinz did not feel that his people, the Jews had completed the journey to a secure, lasting freedom. As long as others were still back on the other shore, just stepping in, or struggling neck-deep in the water, it was not yet time for timbrels and celebrations. He had been on the other side, and he knew the journey could not be made alone. Joachim Prinz: I Shall Not Be Silent will be shown on January 15, 7:00 pm at Temple Sinai, 509 Broadway, Saratoga Springs. Panel discussion and dessert reception to follow. $5 donation requested. Call (518) 584-8730 or email office@saratogasinai.org.